The Sea Cucumber, also known as the Edible Sea Cucumber, was first described by scientists in 1830. It has a long, pink to reddish-brown body, which is usually darker dorsally, often green or black. It does well in a large aquarium if provided with ample room to roam. Generally, for every 3 inches of sea cucumber there should be 20 gallons of water. It prefers a thick sandy substrate so it can scour through the sand for organic foods. 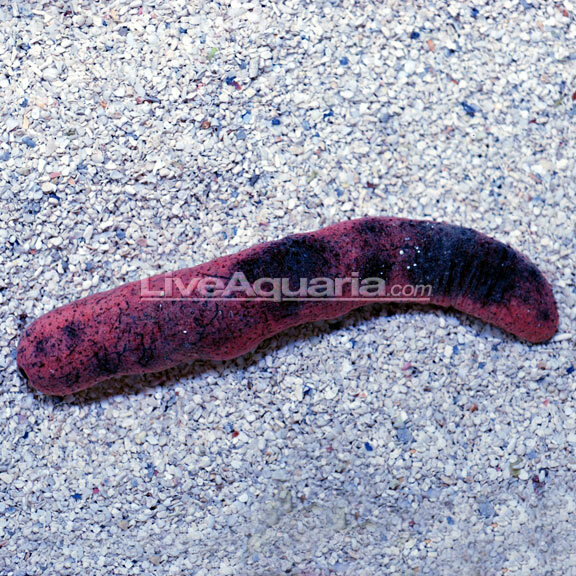 The Sea Cucumber will spend most of its time in the open, though it may carry a thin film of sand over its body. It is extremely difficult to breed in an aquarium, and has no distinguishing characteristics to help differentiate it from its mate. I have a giant yellow one. This is when it was smaller, but it is huge now. I started with a tiger tail that has split into at least three more. Before splitting that thing was huge. 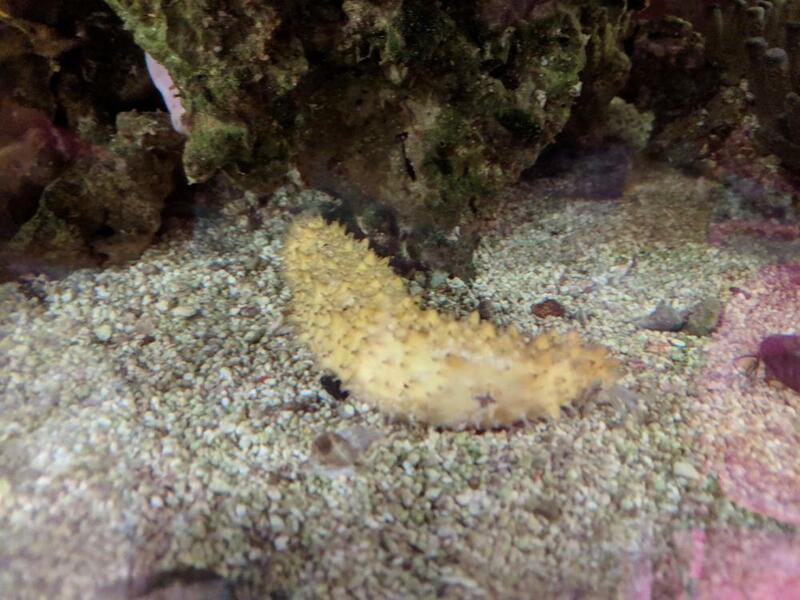 Now they are all about 6 inches and do a really good job at cleaning the sand in the darker, hard to reach areas of my tank. Great clean up crew member and adds to the biodiversity of the tank!